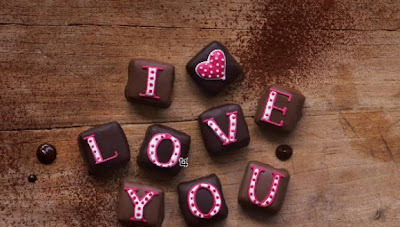 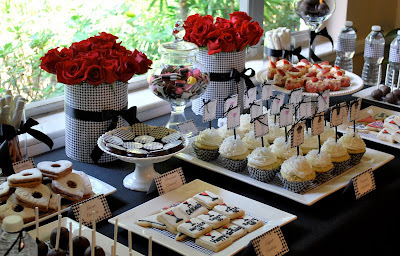 If you do not have a sweet tooth, maybe this post is not for you! I have noticed a fast growing interest in Candy Buffets at wedding receptions. 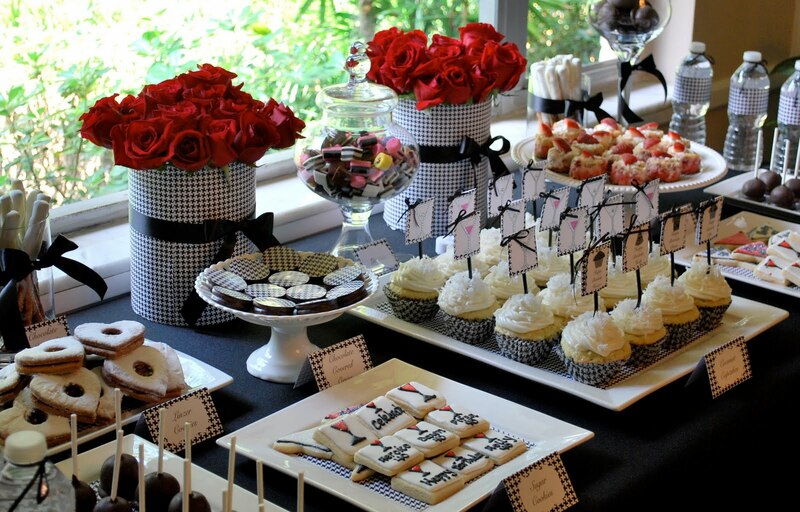 The original idea was 'something for the kids,' however I have noticed that the buffet appeals to all ages. I love the mix of pastel colours, and I started to think, what if we don't stop at the buffet? 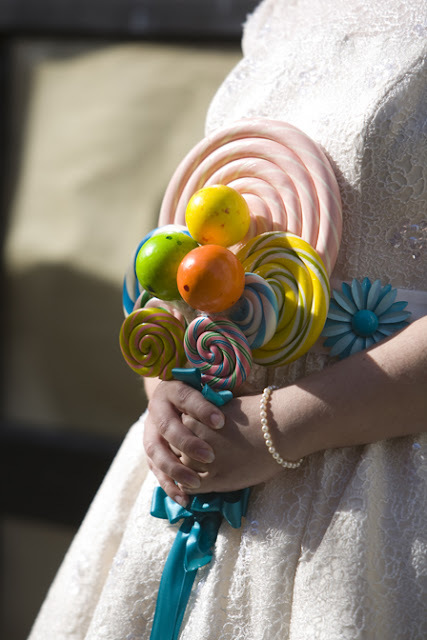 Why not have a Candy Wedding? 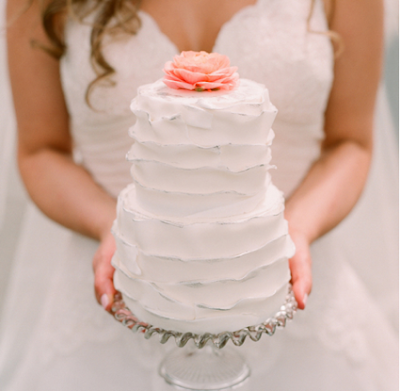 Wedding dresses by Charlotte Balbier from the Candy Kisses collection. 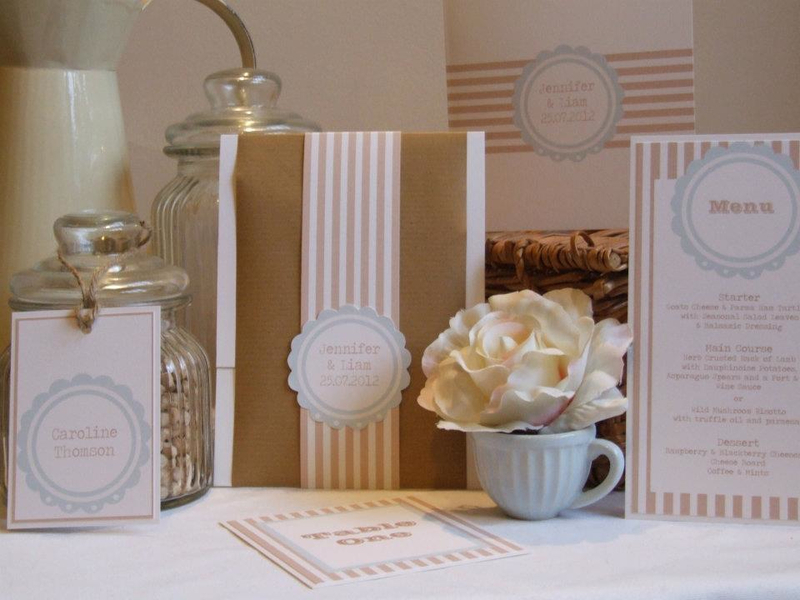 Launched in 2003, the Charlotte Balbier brand has continued to grow and evolve, taking the bridal fashion industry in a new direction. 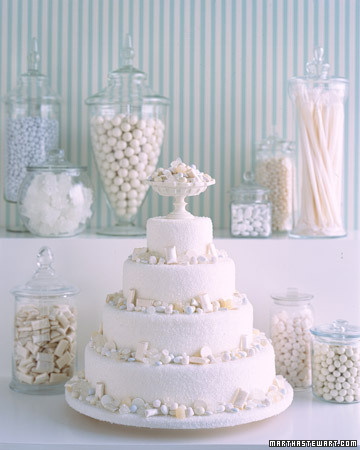 I also love this white with a touch of sugar pink dress by Candy Anthony! 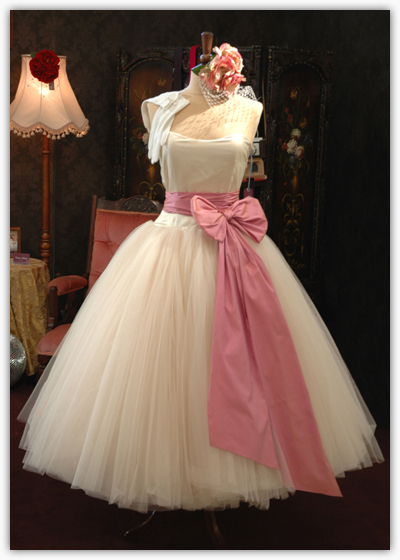 Candy's signature bridal gowns have been carefully designed, drawing inspiration from the past. 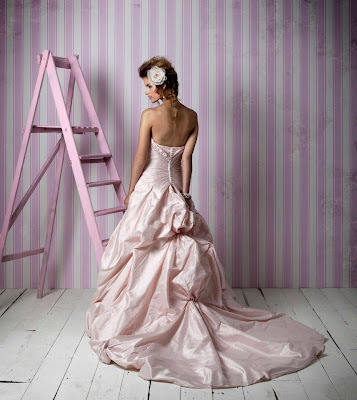 Each gown is individually cut and handmade using a selection of Duchess satins, vintage-inspired lace, soft tulles or polka-dot overlays. 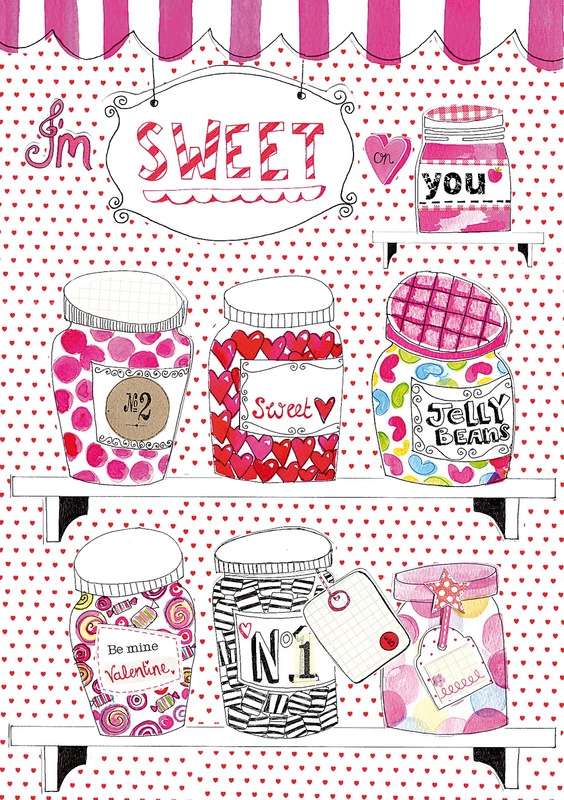 I found this gorgeous Oh Sweetie wallpaper designed by Kate Usher and I thought it would be fantastic to use as decoration for the wedding reception - for a wall, or to cover a cupboard or box. 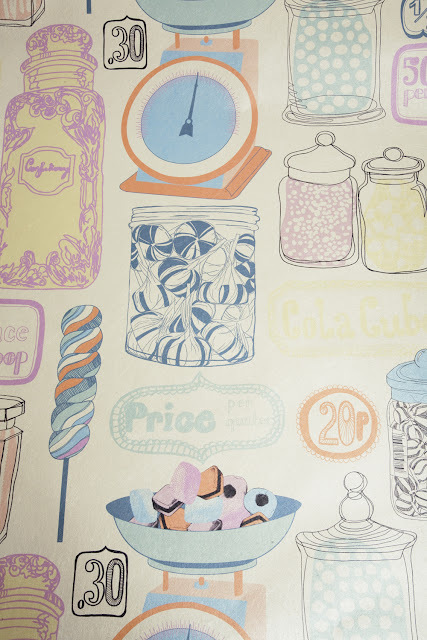 You can buy this wallpaper from Kate's website HERE. 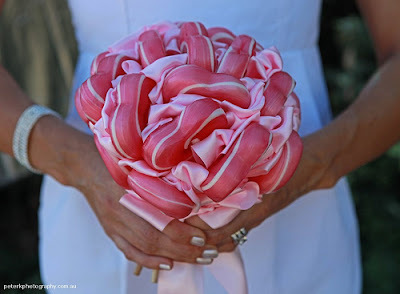 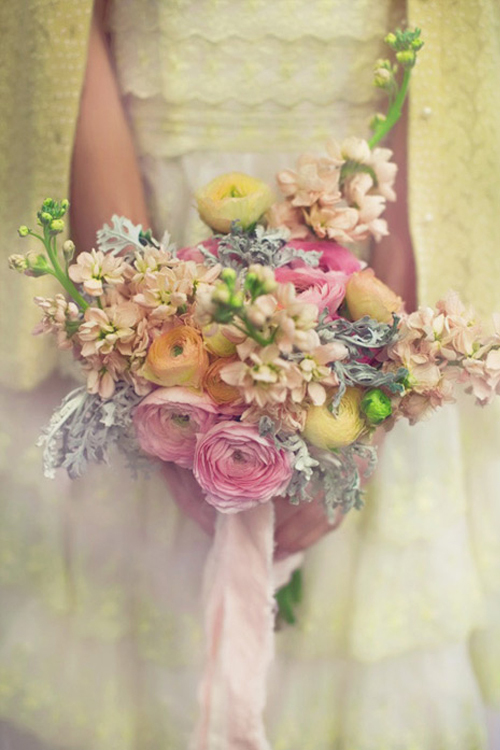 I love these really crazy candy bouquets! 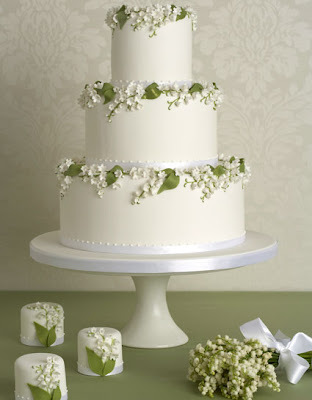 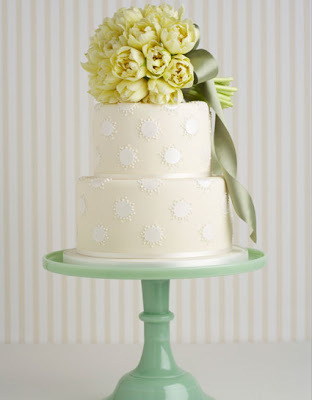 For the wedding cake, designer Peggy Porschen makes some beautiful tiered wedding cakes in off-white pastel shades. 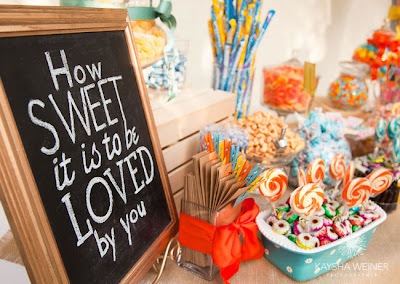 Bristol Candy Buffet can arrange a buffet for your wedding. 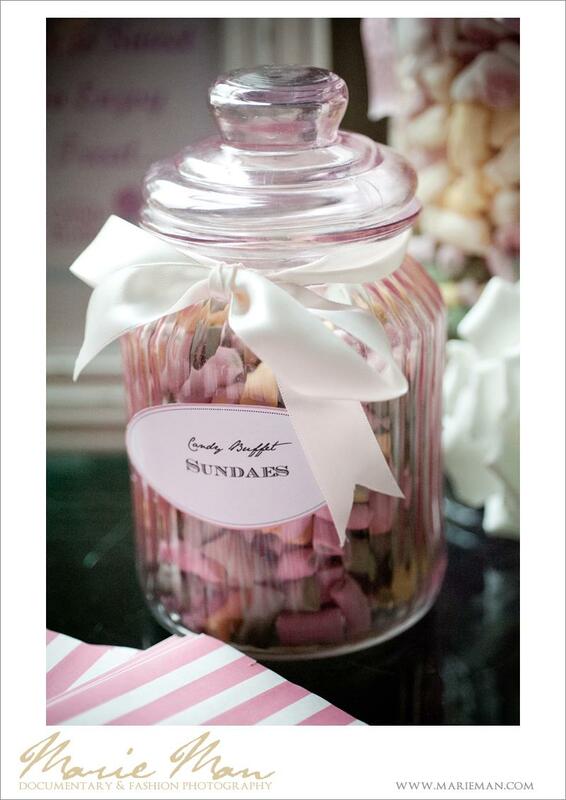 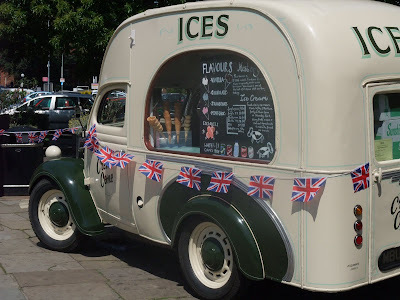 They specialise in vintage-inspired candy buffets using a range of pretty glass jars and bowls. 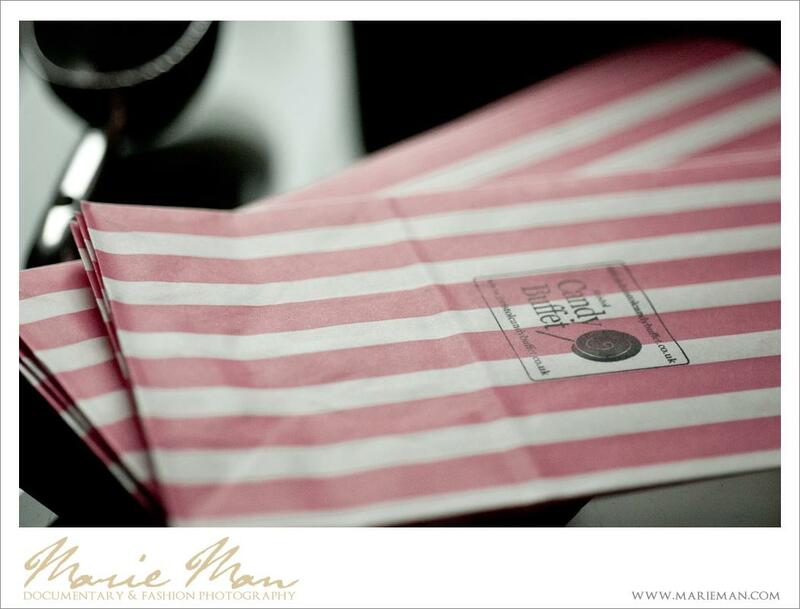 Stunning photographs by Marie-Man Photography. 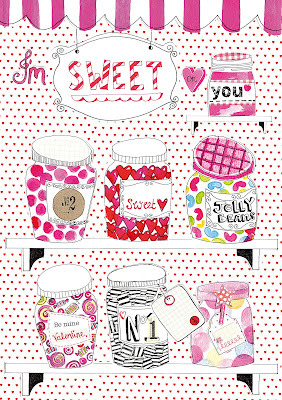 I love this card I'm Sweet on You by designers Paper Salad. 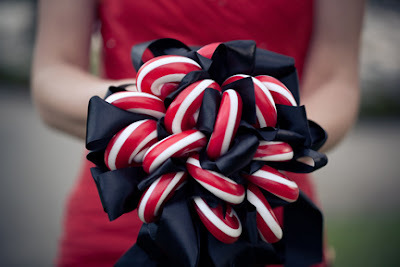 It could also make nice bunting, signs, or thank you cards. Candy Stripe bespoke wedding stationery by Knots and Kisses. 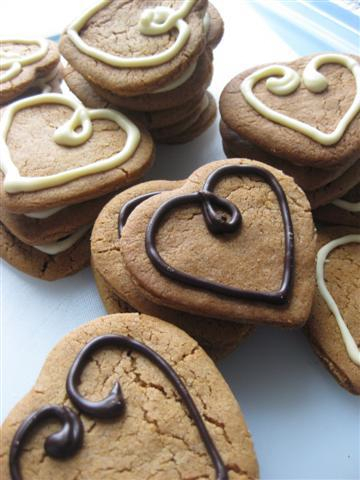 How about some heart-shaped handmade Cornish Fairings topped with a chocolate heart. 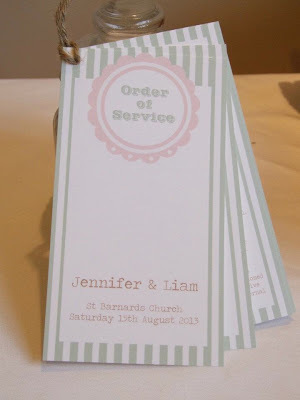 Mullion Cove UK will make these specially for you. 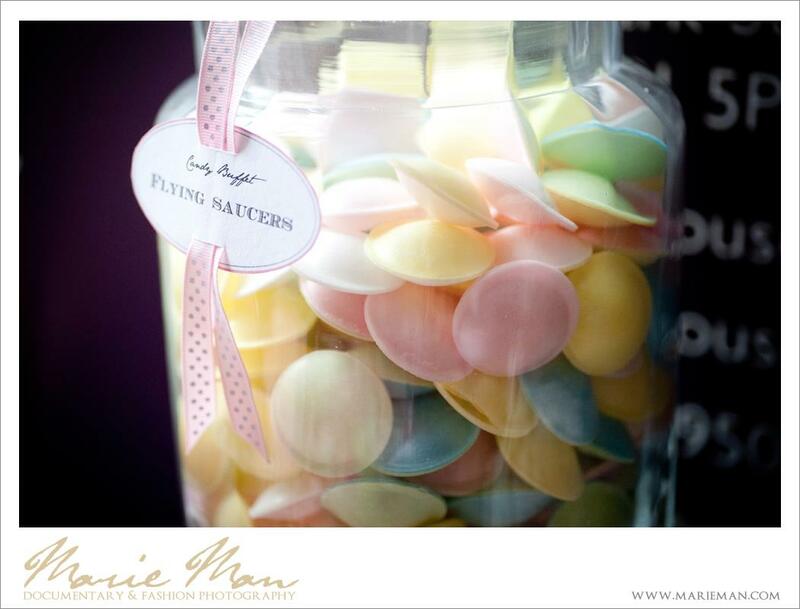 A pastel plate full of these fairings served with coffee would go down a treat. 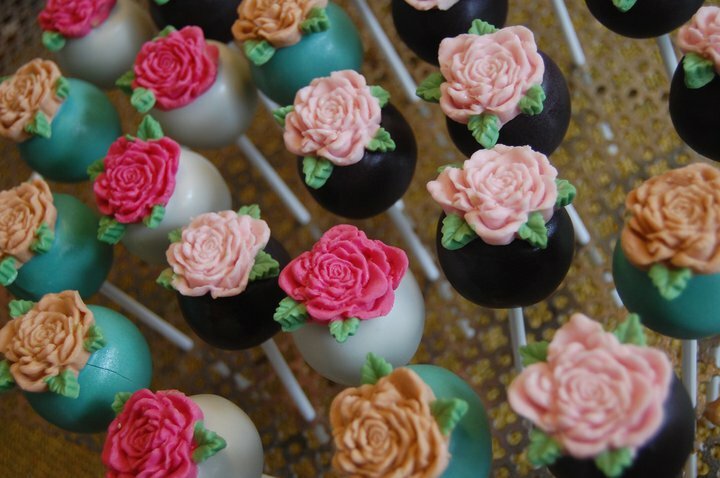 If you are considering wedding favours, how about a cake pop? The Pop Bakery make cake pops in lovely pastel colours. 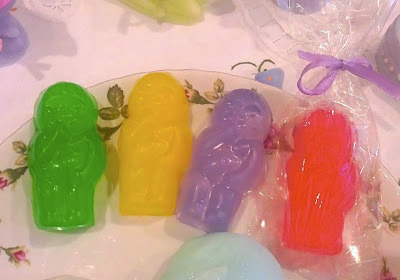 They also have online videos and books telling you how to make your own. 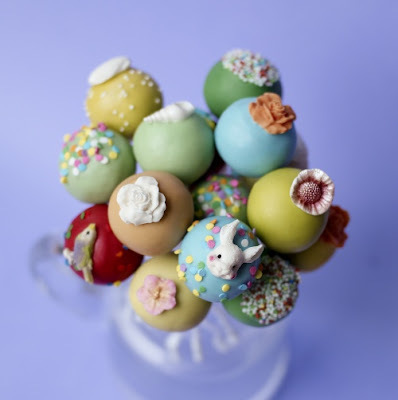 Their cakes are as yummy as they are cute, and as they are on sticks they are easy to stand in jars on the table; no plate or napkin is needed. 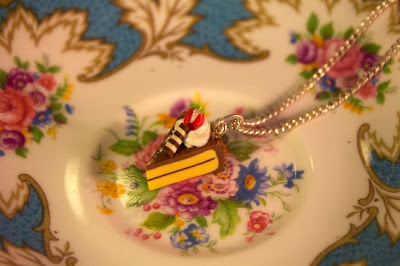 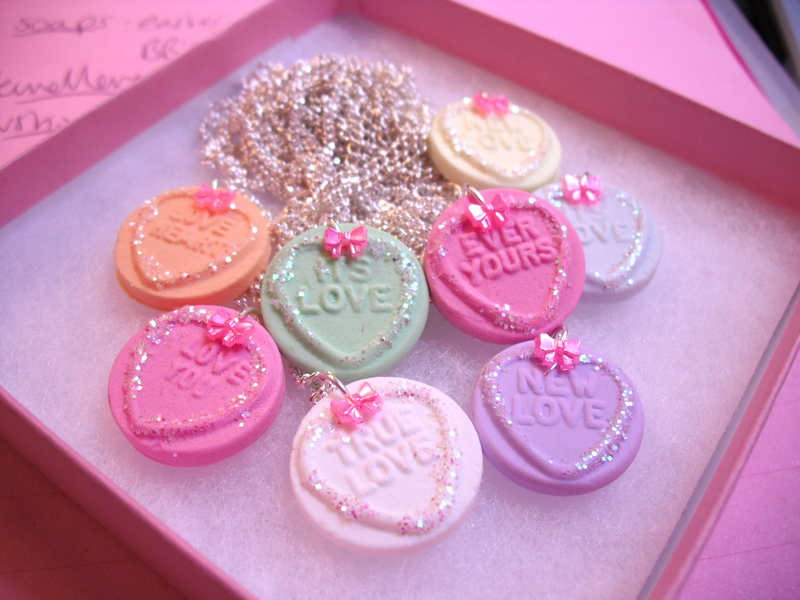 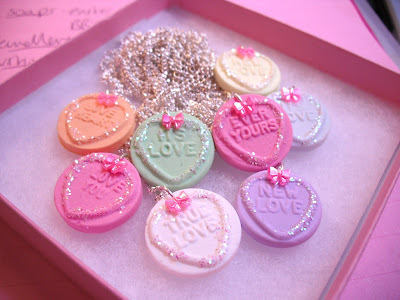 I love Crafty sell some great sweetie and cake themed jewellery which would be great for either bridesmaids to wear or as their gift. 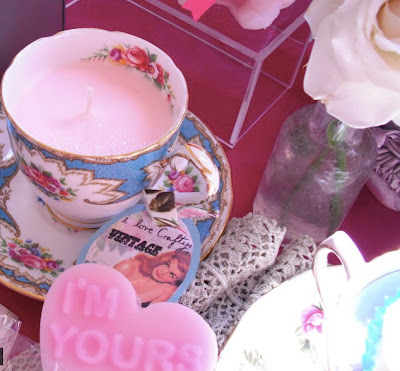 They also sell candles in vintage teacups which would be lovely on each table, Plus as favours, jelly mould soaps. 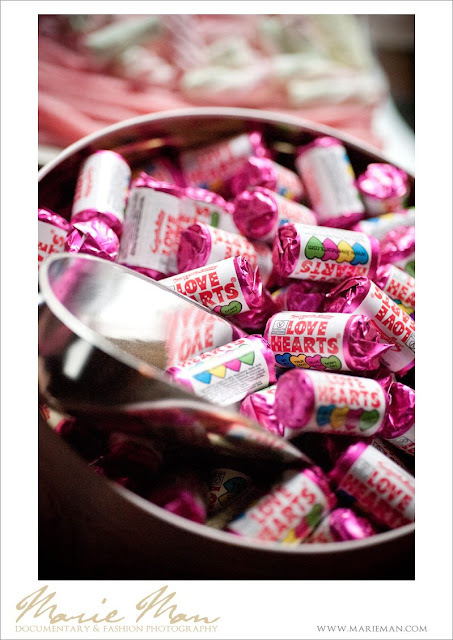 Or you can have a tin of sweetie-shaped biscuits on the tea table. 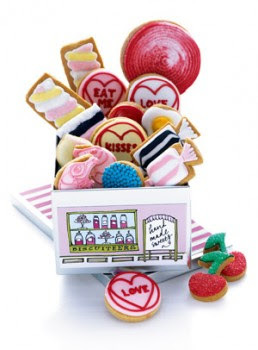 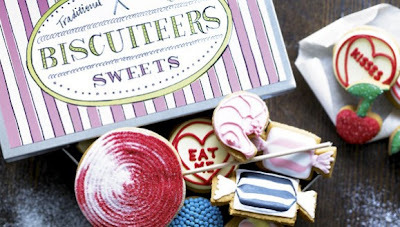 The Biscuiteers make hand-iced biscuits in themed tins. 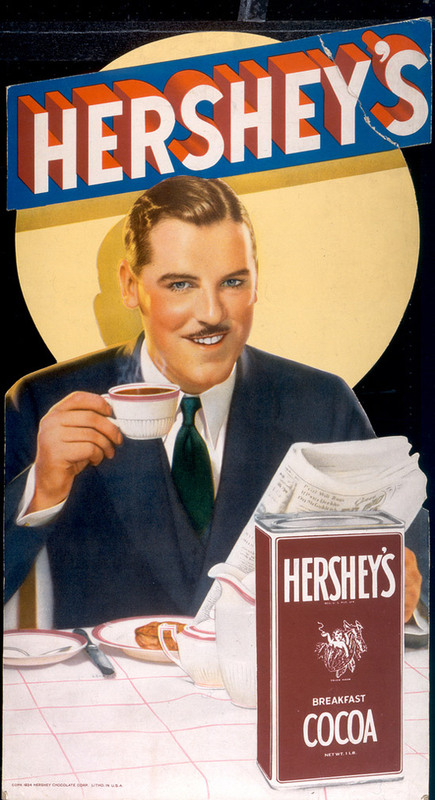 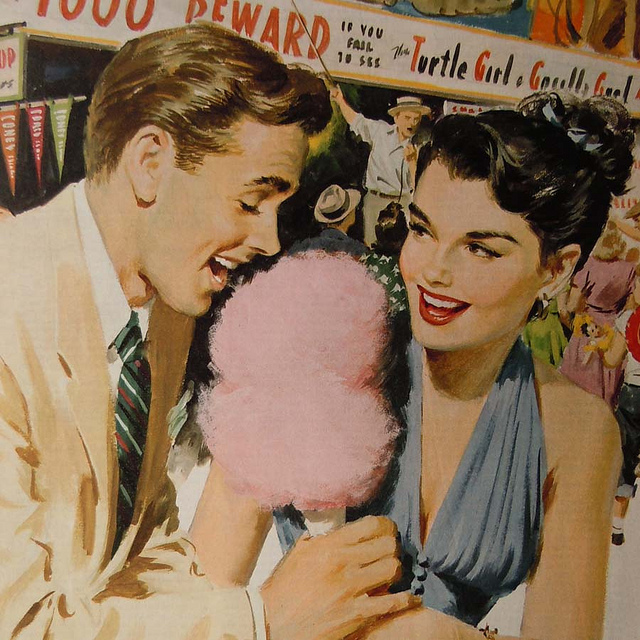 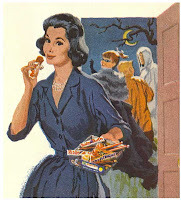 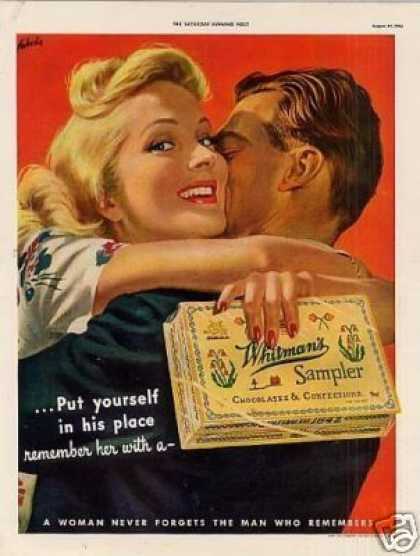 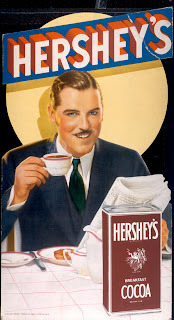 Because I am a huge fan of vintage advertisements I think it would be lovely to make a feature of a few vintage candy magazine adverts which can be sourced online. 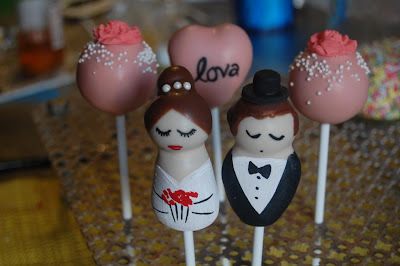 For the first dance music? 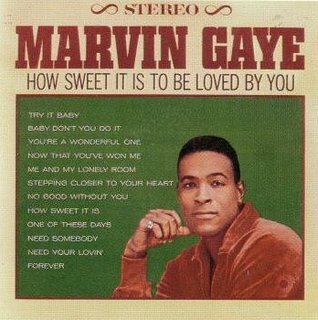 Why it has to be one of my favourites, Marvin Gaye's How sweet it is to be loved by you!